Suffering from Ann Arbor Art Fair withdrawal? Ann Arbor is home to several art galleries, but two galleries you can hit yearlong are The Ann Arbor Art Center and the University of Michigan Art Museum (UMMA). For the past 105 years the Ann Arbor Art Center has been providing a space for local artists to create beautiful pieces of work downtown. 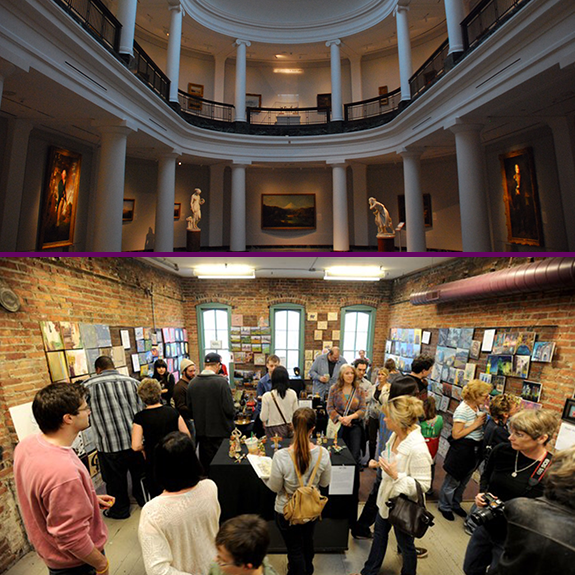 Hosting special exhibitions for viewing throughout the year, guests can also purchase unique pieces at the center’s gallery shop. UMMA has also been a staple of Ann Arbor’s art scene for the past 150 years with innovative and unique exhibits available for viewing weekly. Looking for an art form that you can rock out to? 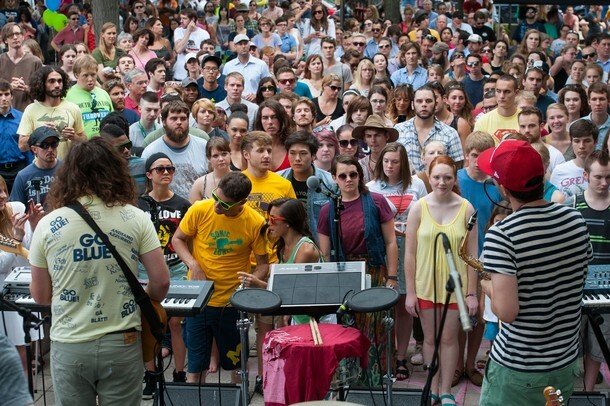 Well for the next few weeks you can attend a Sonic Lunch concert in downtown Ann Arbor. The last concert is on 8/25 though, so check out the schedule and make sure you get to a concert this summer. For a more year-round source of live music The Ark downtown has you covered. A nonprofit featuring a wide selection of acts from Jeff Bridges to local open mic nights, there is always live music to head downtown for. You can find a list of this year’s shows here. 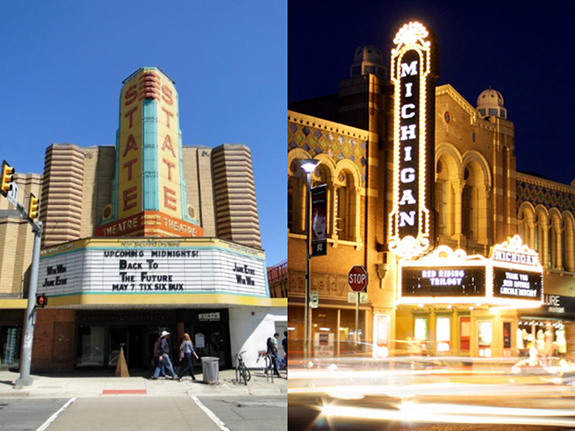 Located a few steps away from each other, Ann Arbor’s State and Michigan theaters have a rich history from the story of their construction to the display of the theaters themselves. Throughout the year these two theaters show a variety of movies from AAA pictures to unique indie films you won’t find anywhere else. 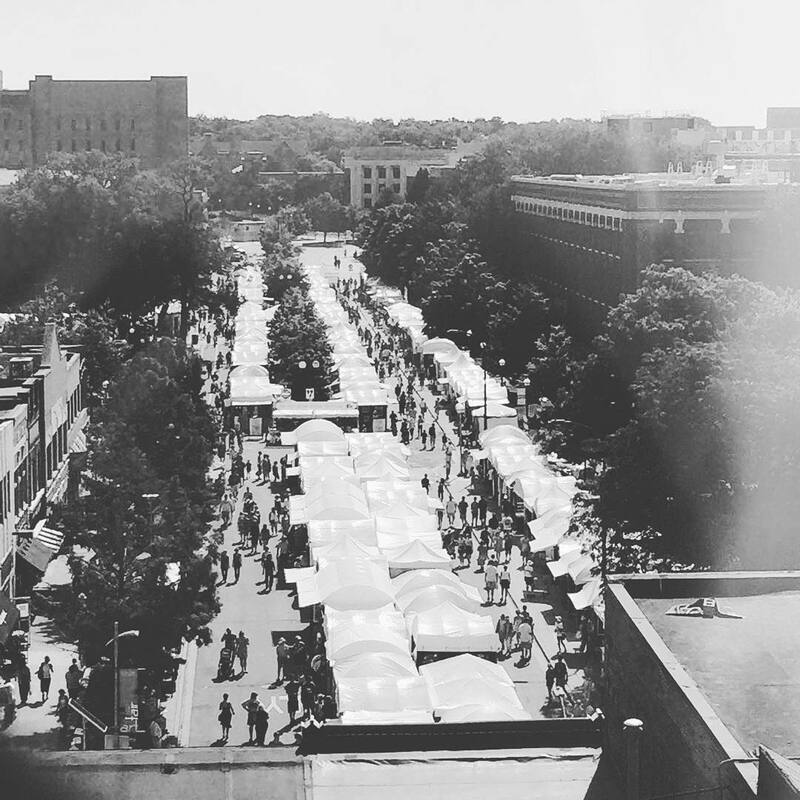 Maybe the Ann Arbor Art fair inspired you to create art instead of viewing/buying it. 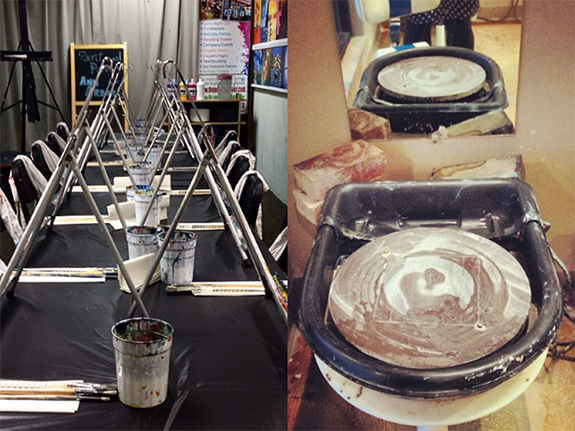 Ann Arbor’s Paint and Pour is a great start for those wanting to unleash their inner artist. Classes focus on fun first and teach attendees how to paint over (multiple) glasses of wine. Painting isn’t your thing? Don’t fret, sign up for a class at the Yourist Studio Gallery to learn how to create your own pottery or to use their popular studio time. Art Fair maybe over, but that doesn’t mean you have to miss out on the great art scene Ann Arbor has year round. Did we miss a favorite art spot of yours? Let us know in the comments below!